As the temperature drops and snowflakes begin to fall, some people will batten down the hatches and cosy up indoors, while others wrap up warm and head out for fun in the snow. But did you know it’s illegal to slide on snowy streets in the UK? It’s common for some people to panic, buy and frantically stock up on essential supplies when snow strikes, while many simply try to keep calm and carry on with business as usual. But lots of people see snow as an opportunity to take a break from everyday life and do something a little different. Sometimes this means waging snowball warfare in the garden, building a snowman in the park or digging the sledge out of the shed and heading to the top of the nearest hill for a speedy descent. This is all totally normal behaviour when the weather gets a little weird – the fall of the snowy curtain marks a break from the mundane monotony of modern life. 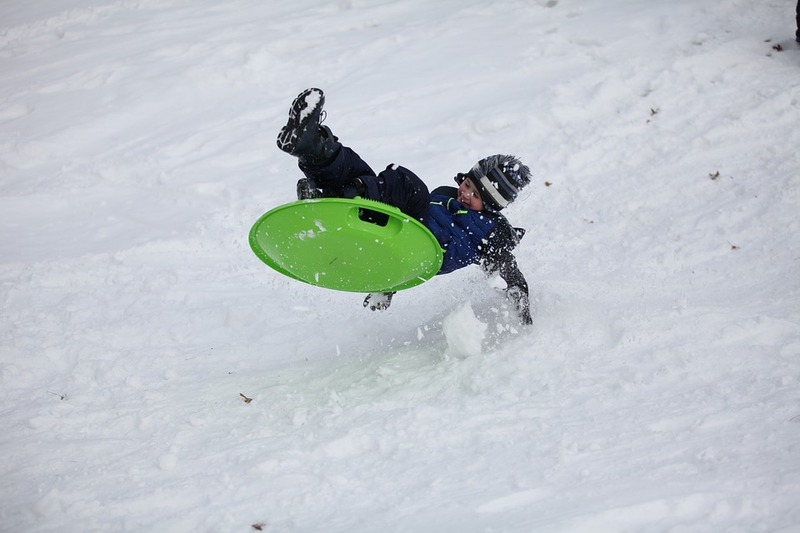 However, one thing that is not acceptable during the icy weather is sliding around on snowy streets. At least, that was the opinion of the British Parliament when it passed the Metropolitan Police Act of 1839. Section 54 of the act addresses the ‘Prohibition of nuisances by persons in the thoroughfares’ and point 17 states that any person ‘who shall make or use any slide upon ice or snow in any street or other thoroughfare, to the common danger of the passengers’ can be arrested and fined. The act only covered the London metropolitan area, but eight years later, the passage of the 1847 Town Police Clauses Act extended the ban to towns and cities across the UK. The maximum fine for sliding on icy or snowy streets currently stands at £500, according to the standard scale of fines established by the 1982 Criminal Justice Act. So next time it’s snowing and you’re out having fun in the cold, make sure that hill you’re sledging down isn’t a footpath or you could land in hot water with the police – and burn a hole in your wallet.